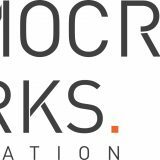 Democracy Works is a civil society organisation based in South Africa. While it is a political organisation, it is strictly not aligned to any political party in South Africa nor internationally. South Africa still tops the list of nations with high inequality, and poverty remains pervasive. As a result, conflicts around poor government delivery and social rights as guaranteed under the constitution - in particular, housing, education and health services - are widespread. Expectations and delivery capacity collide, with destructive outcomes. To manage such conflicts peacefully (the ability of which is one of the hallmarks of democracy) there needs to be increased knowledge-sharing regarding the use of democratic tools and instruments for resolving disputes. Democracy Works has been established to facilitate and support this critical process. Drawing on innovative and carefully designed strategies, DW aims to assist in further rooting and entrenching real democracy in South Africa.